Multi-talented singer Praiz has released his fourth music video to his single ‘Oshé’. Inspired by Makossa, Praiz enlists veterinary artist - Awilo Longomba for a feature on the song, as well as for the video shot in the UK. 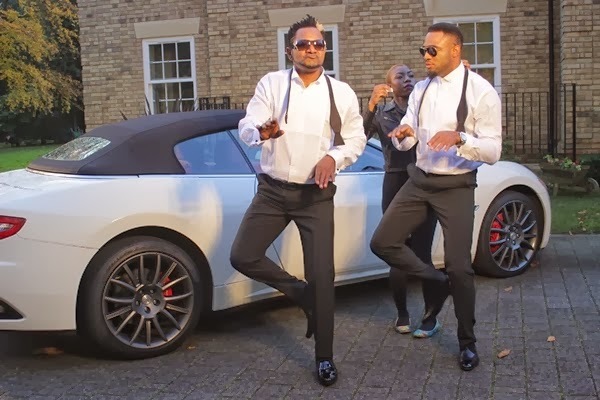 Praiz shows off his lavish living in the video with beautiful women in a mansion in the UK, in the Clarence Peters directed visual, being thankful for what he has - and where he's at in life. "I really love the video because it's different from what you'll expect from me. Awilo was a handful and we loved his energy". Praiz plans to release his highly anticipated debut album ‘Rich and Famous’ sometime in 2014, no word on the release date yet. Watch and be thrilled by Praiz and Awilo's chemistry in their performance below.